FAN, Power, Temperature status LED indication in the front handle. The A12S2-PS able to connect three A12S2-SJ JBOD systems. Users can deploy their storage with ExaSAN switch to construct a ExaSAN solution. The Accusys ExaSAN A12S2-PS, the newest member of the ExaSAN family of storage solutions provides high speed data transfers up to 1200MB/sec while scaling capacity from 12 drives to 48 drives. With 4TB drives supported, a single A12S2-PS disk channel can manage 192TB.. It features PCI Express 2.0 technology capable of 1200MB/s that can easily edit multiple HD, 2K and 4K DPX video streams, even stereo 3D editing workflows. The ExaSAN A12S2-PS is the key storage component of an ExaSAN solution enabling collaborative shared storage editing workflows possible for the budget conscious. The ExaSAN A12S2-PS utilizes PCIe2.0 technology supporting 5Gb/s per lane which doubles the speed of PCIe1.1 technlogy that supported speeds up to 2.5Gb/s. Using PCIe2.0 x 4 lanes throughout the data path, from HBA (host bus adapter), to cable, to RAID controller, all support 20GB/s (5Gb/s x 4lanes). It is full speed ahead from the workstation to storage. All non-ExaSAN data transmission from workstation to RAID controller require protocol conversion from PCIe to other protocols, such as Fibrechannel. If the workstation PCIe2.0 bus can provide data at 20Gb/s to the Fibrechannel HBA, the output of that HBA is 8Gb/s. It remains 8Gb/s through the FC cable to the FC RAID controller. On the FC HBA, a powerful processor is computing, you can see by the size of the heat sink on the chip to cool it, converting the PCIe data from the workstation to 8Gb Fibrechannel takes power. This conversion process adds overhead and heat, to only transfer data at 40% (8Gb/20Gb) of ExaSAN speeds. This powerful FC chip, as many things powerful, on the HBA makes it very expensive compared to the ExaSAN HBA. So the two salient facts for considering ExaSAN storage solutions are faster and lower cost, both save you money. Every PCIe 2.0 path runs at 5Gb/s and with the HBA, cable, and A12S2-PS RAID controller processing 4 lanes results in a bandwidth of 20Gb. PCIe2.0 x 4 lanes is 2.5 times fasten than 8Gb Fibre channel. Highly scalable, the A12S2-PS brings cost-performance savings to expandable storage systems for broadcast and post-production tasks such as color grading, film scanning, effects, finish, 4K & 5K red format editing, and much more. Video streaming applications have a strong requirement for very smooth, steady and sustained performance to prevent frame dropping. Overcoming these issues Accusys provides the EQ Mode and the DLP functions. By selecting the RAIDGuard X GUI, the “Performance Equalization mode” can be used to prevent frame drops, ensure smooth I/Os, and achieve stable performance with the smallest peaks in bandwidth fluctuation, meaning that users can regain as much as 20% in dropped storage. RAIDGuard X also utilizes DLP technology. In the event of a single hard disk read speed performance degradation, delay or aging, other hard disks can resume stable I/O data transfer of corrected data in real-time based on RAID parity. 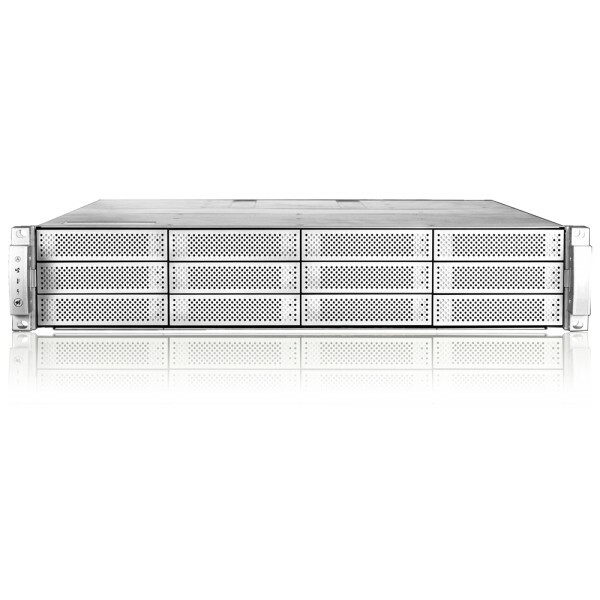 In a 2U12 bay form factor, the A12S2-PS only occupies a 2U space providing 20Gb Bandwidth with a max. storage capacity of 36TB. It combines performance and economics with an attractive new elegant, yet high-tech metallic casing. The A12S2-PS transforms the disk array system into a convenience for all users, not only professionals. 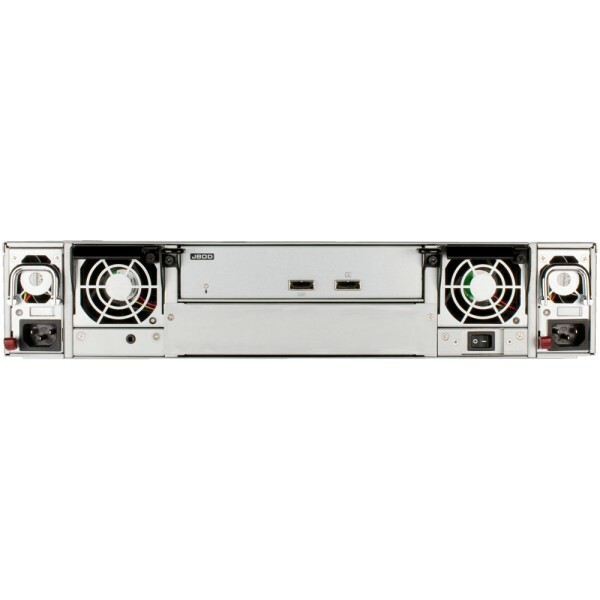 Its swappable modular disk array design, RAID controller, FAN and power supply module dramatically facilitate both maintenance and system reliability. Our innovative green storage, from an environmental protection perspective, is a model of energy efficiency and reduces storage system energy consumption while improving storage performance per watt. The A12S2-PS also runs cooler and enables significant cost savings for IT departments through its energy efficient green design. Every modularized component of the A12S2-PS system, such as power supply, fan and RAID controller has a corresponding front panel LED indicator. A warning beepen tone is emitted based on system status for quick servicing. Events requiring attention are entered into an eventlos and e-mail notification is seat. In video editing, demand for capacity and speed are higher. The A12S2-PS supports the latest 3TB external hard drive, and it also has 6Gb SAS JBOD expansion option, permiting the RAID user to add up to three JBOD systems for up to 144TB(A12S2-SJ), Dual Port QSFP HBA allows User's wokstation to connect to two A12S2-PS and the combined speed can reach 40Gb, suitable for demanding Ultra-high speed application. 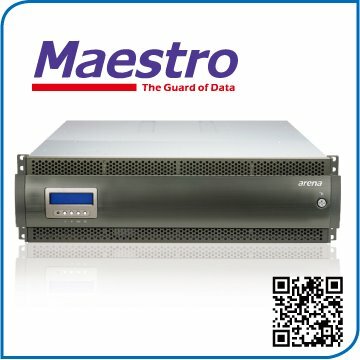 Allows two storage systems connected to one host, able to carry 40 Gb bandwidth. One RAID system supports up to three JBOD systems for storage capacity expansion. Up-grading to a SAN is a must for even the heaviest editor workloads, and with an ExaSAN compact solution kit you have made the best SAN choice. How can you upgrade to a total ExaSAN solution? How can the total ExaSAN storage solution reduce your worload enhance your work environment? 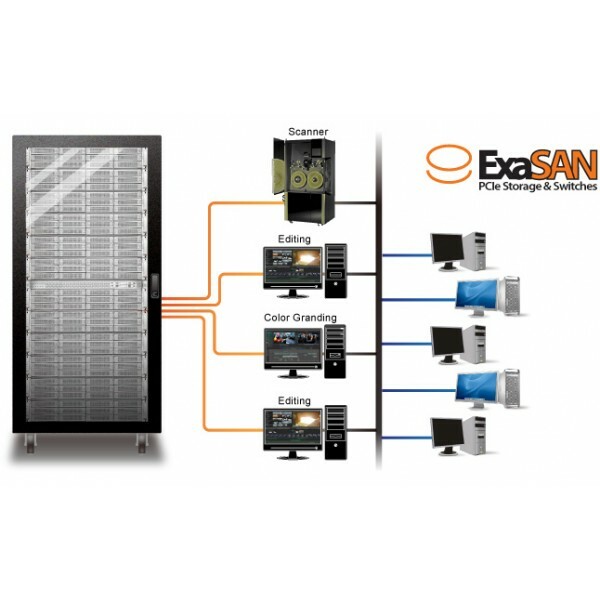 To Learn more about the ExaSAN SW04/08 Compact solution click here. ExaRAID not only provides solutions for the single host, its highly effective expansion capabilities satisfies multiple user SAN storage requirements utilizing a PCIe Switch system. 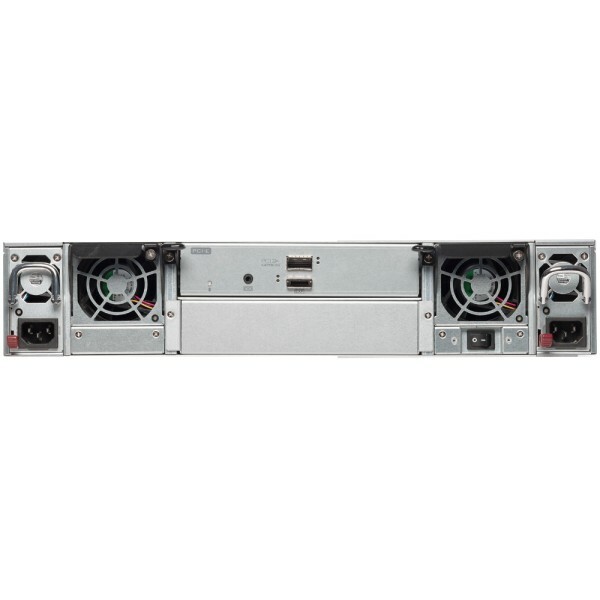 The unique ExaSAN PCIe Switch developed by Accusys permits multiple workstations to simultaneously access and edit from a single central storage system. 3-Year Limited Warranty for RAID and JBOD systems and within components. 1-Year Limited Warranty for HBA and cable.